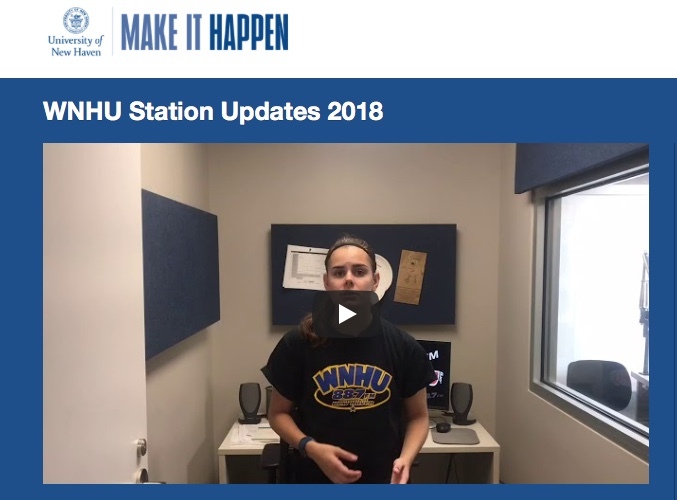 WNHU is supported by the University of New Haven and it’s department of Communication, Film and Media Studies — as well as by alumni, community members and area businesses. In an era when many colleges and Universities are selling their broadcast licenses, we feel extremely fortunate that the University of New Haven has chosen to commit the necessary resources to provide this unique service to our students and the communities that surround us. Running a 1700 watt radio station is expensive, and any funds we raise help to offset the cost of powering and maintaining our transmitter, studios, and equipment. To visit the Make it Happen page and donate to the campaign, please click **here**. Your gifts are tax deductible… and GREATLY appreciated!